Without getting deep into the science behind their creation, microbeads are uniform polymer particles, typically 0.5 to 500 micrometres in diameter. Bio-reactive molecules can be adsorbed or coupled to their surface, and used to separate biological materials such as cells, proteins, or nucleic acids. What this means is that microbeads could be used as an exfoilant in beauty and personal grooming products and were adopted by the cosmetics industry for this purpose. Time magazine recently published an article detailing the continued effort to ban microbeads from cosmetics. The movement appears to have begun in Europe and peer reviewed studies on the issue were being conducted in the UK as far back as 2008. The issue was cast as an environmental one at the time which may have contributed to the lack of timely response by Industry. 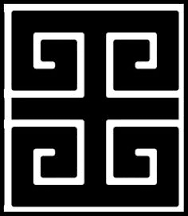 Here is yet another article on the subject from way back in 2008 by Slate Magazine and yet another from 2013 by The Scientific American. Time reported this month, that Illinois is the first State in the US to totally ban products that contain microbeads while New York, California , New Jersey and Ohio are currently attempting to pass similar legislation. How common are microbeads in cosmetics and personal care products? There are so many products that contain microbeads that I can’t list them all in one post and still expect people to read it. Here is a link to Beat the Microbead that has all this information available for download by country. The list may be outdated so keep that in mind. 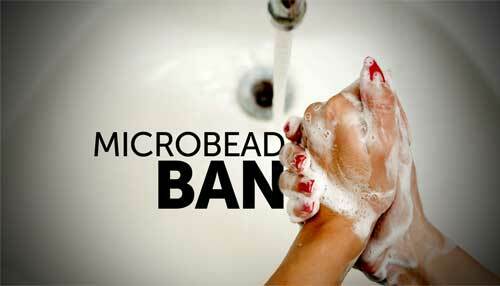 Does the ban on microbeads involve the Spa Industry and if so, to what degree? As I pondered this question, I decided to google the phrase “microbead ban spa industry.” There were two articles from the same Spa Blogger who runs a consulting business and the other a press release from The Green Spa Network. The Green Spa press release is from the past month, and the Spa Blog article is perhaps a few years old. I think microbeads are a non issue for Professional Spas that use reputable product lines. Personally speaking, I have never worked with a professional spa product line that used microbeads in any of it’s treatments for massage or body over the 17 years I have been a Licensed Massage Therapist affiliated with Spa and Wellness. For those Spas that have their own signature product lines for exclusive use, such as Golden Door Spas as an example, that is a matter for them to take up with their manufacturer. I do happen to use Clinique for skin care and their 7 day scrub cream DOES contain microbeads. I don’t mind replacing it with a more organic alternative but I need to devote a bit more time to looking around. Meanwhile, while we all take the time to consider how serious an issue this is and how as individuals we want to respond, consider alternatives from this post by Allure magazine that showcases 11 microbead free facial scrubs. Also stop by Mukti Organics from Australia. They may have been the company that came up with a biodegradable alternative for microbeads made from jojoba extract according to their blog.